Dress her up and get ready for a magical time with the special man in her life! Enjoy an afternoon of dancing to fun music from our DJ, and eating cookies! Free photos sponsored by Walgreens at the event. This year we will have a Unicorn Theme! Girls must be in grades K through 5th. 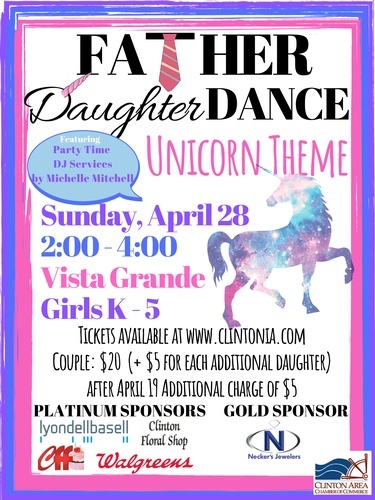 Please register with the name of the person bringing the child to the dance, and list the daughter(s) name as an additional attendee.